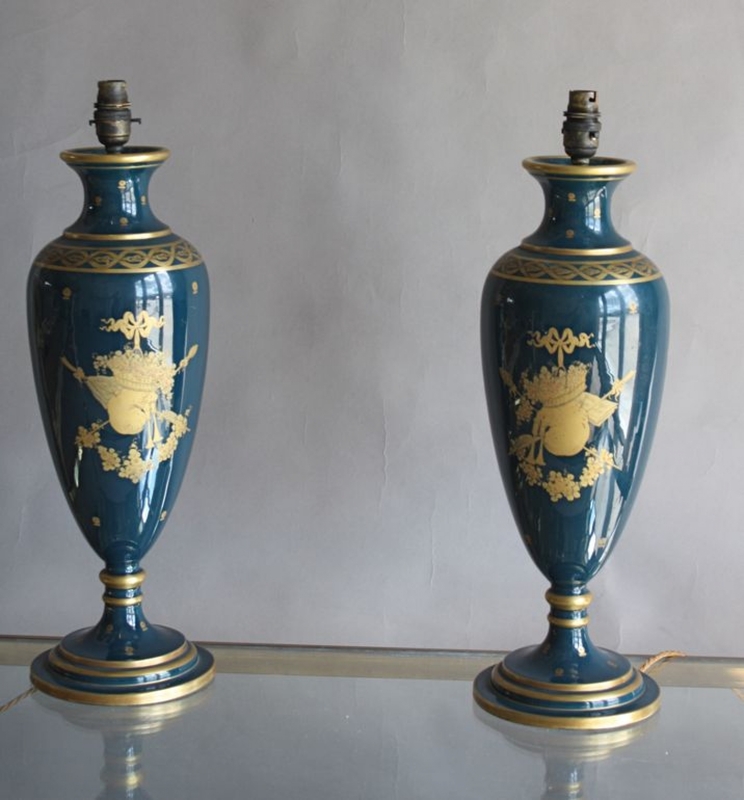 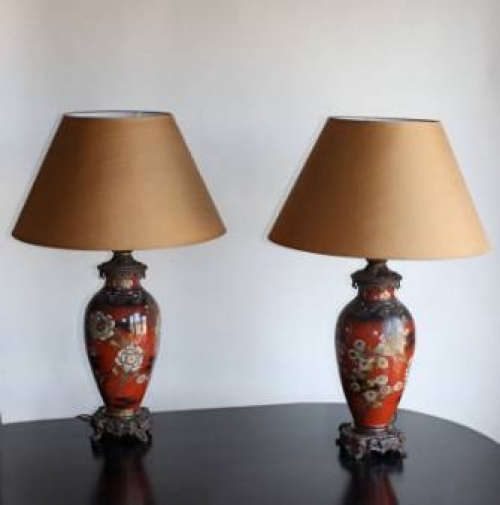 vintage lamps with great shapes and side handles, the musical instrument lamps are sea green and blue and have gold imprinted decoration. 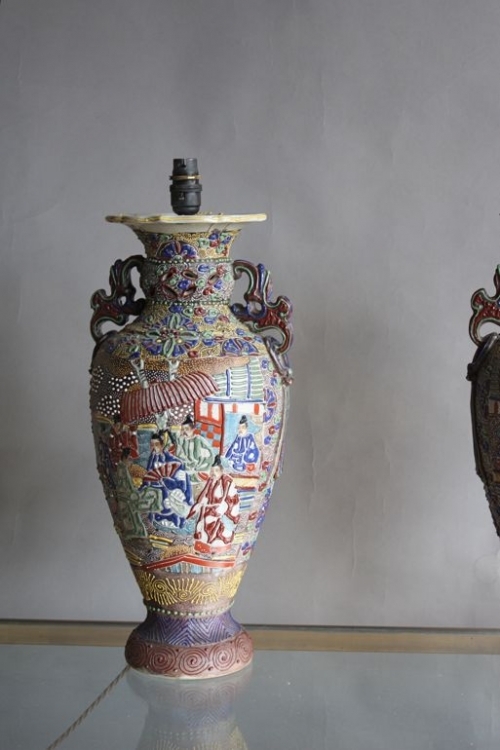 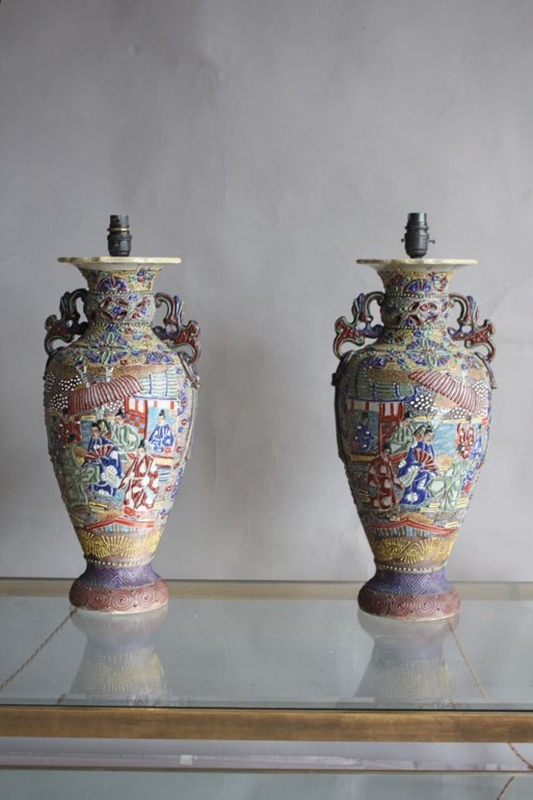 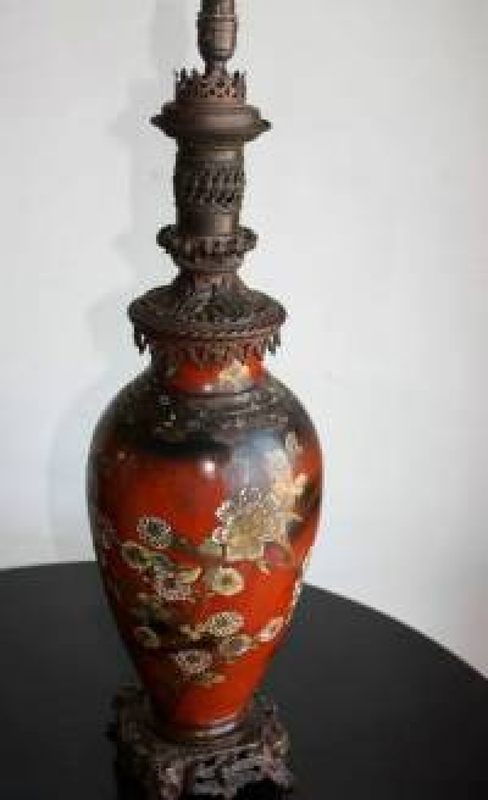 All originally vases ( the cloisonne a long time ago ) and converted in our workshops. 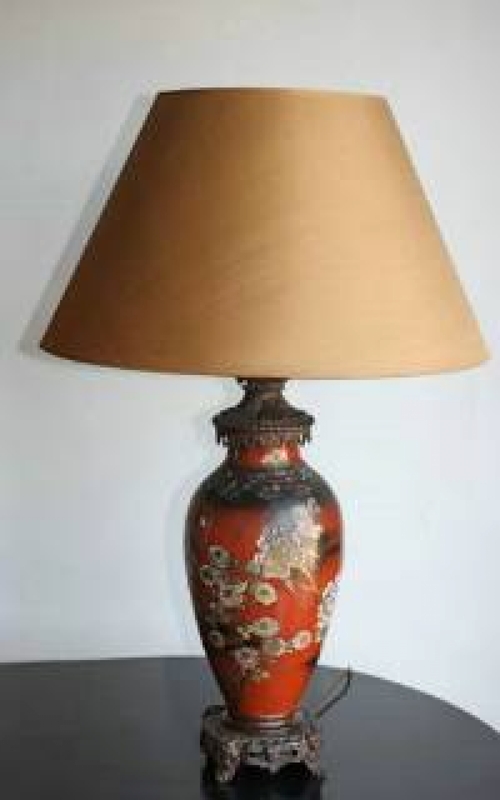 Advice on shade carriers and shades available. 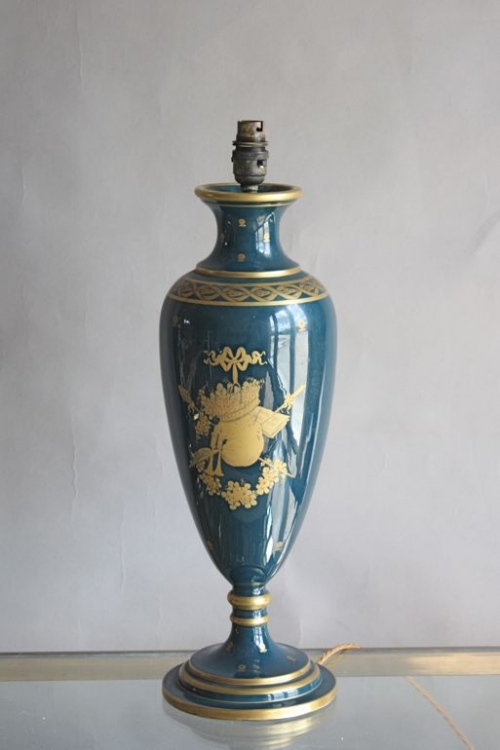 POTTERY LAMPS are having a revival right now, weve done the skittle balls , the balustrades, the stone and iron elements, these all have real colour and depth and go wonderfully with bleached oak and walnut.